A collaboration of researchers from various Universities from around the world recently published a research paper in Science of the Total Environment that reviews nature based solutions for contaminated land remediation. 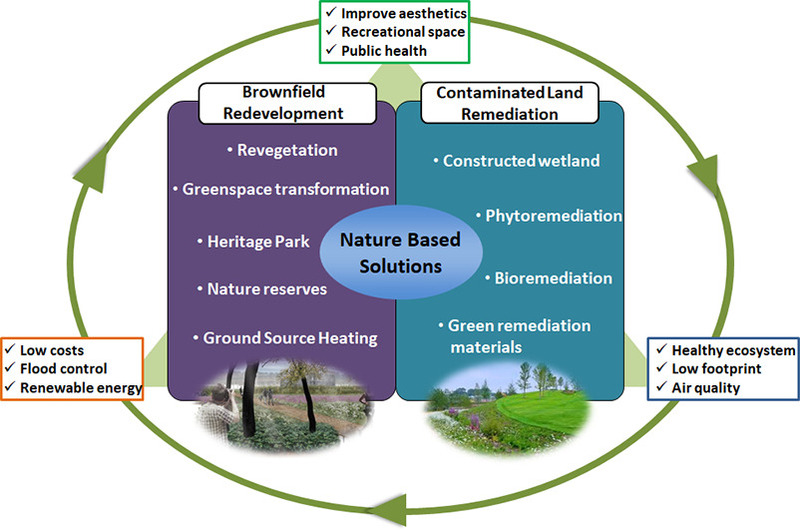 The paper contends that Nature-based solutions (NBS) including phytoremediation and conversion of brownfield sites to public greenspaces, holds much promise in maximizing a sustainable urban renaissance. The researchers claim that urban industrialization has caused severe land contamination at hundreds of thousands of sites in cities all around the world, posing a serious health risk to millions of people. The also state that many contaminated brownfield sites are being left abandoned due to the high cost of remediation. 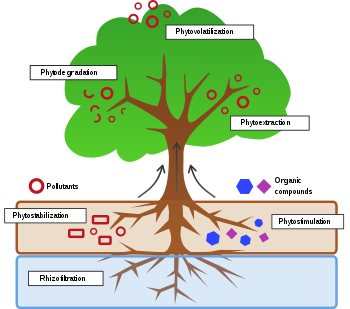 Traditional physical and chemical remediation technologies also require high energy and resource input, and can result in loss of land functionality and cause secondary pollution. NBS is an umbrella concept that can be used to capture nature based, cost effective and eco-friendly treatment technologies, as well as redevelopment strategies that are socially inclusive, economically viable, and with good public acceptance. The NBS concept is novel and in urgent need of new research to better understand the pros and cons, and to enhance its practicality. The review article summarizes NBS’s main features, key technology choices, case studies, limitations, and future trends for urban contaminated land remediation and brownfield redevelopment.